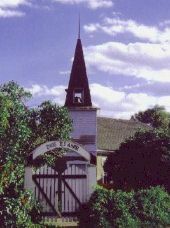 Traditional Hispanic Catholism collided with conventional Anglo Protestantism in southern Colorado and resulted in construction of the unusual San Rafael Church. Located in the San Luis National Historic District, the church represents the clash and subsequent merger between Protestant Anglo and Hispanic Catholic missionaries. 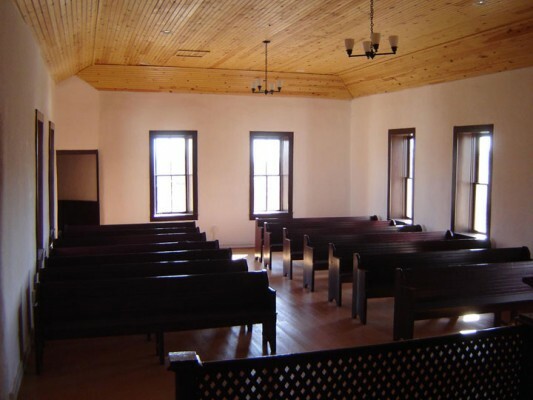 A State Historical Fund grant funded asbestos abatement, a new wood shingle roof, restoration of the bell tower, indoor plumbing, and reinforcement of one adobe wall. The efforts from supporters have resulted in the full restoration of the church. In addition to restoring the church building, the community is working to revitalize the surrounding land via irrigation water rights.